Rapidly degrading political and economic situation in Afghanistan has a direct impact on the development of drug trafficking and drug cultivation, and production of hard drugs. 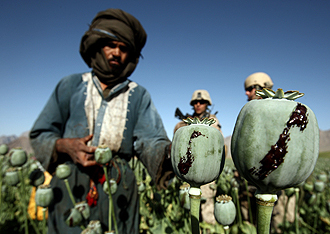 Measures taken by the Drug Combating Ministry of IRA, as well as the aid provided to the country by international organizations and, above all, the UN Office on Drugs and Crime (UNODC), unfortunately, have not brought tangible results in reducing the production of opiates and narcotics based on the cannabis group in Afghanistan.Production and trafficking of drugs have reached such proportions that it threatens the security of the surrounding region as a whole.And what is even more dangerous–Afghan drug trafficking is closely related to the financing of international terrorism. The problem of drug production is very acute for Afghanistan itself – 2.5% of the adult population– are drug addicts, which is one of the highest rates in the world. According to the UNODC, opium poppy cultivation in 2012 increased by 18% to 154 thousand hectares (in 2011– to 131 thousand hectares).In 2012,an overwhelming amount of opiates produced in the country(95%) was concentrated in the most insecure southern and western provinces of Afghanistan, including Helmand, Kandahar, Uruzgan, Farah, Herat, Nimrozand Zabul, indicating a direct link between drug production and security problems. Helmand province continues to be a ‘flagship’ of drug production in the country.In 2012, the area of planted drugs in the province grew by almost 12 thousand hectares.Only in the Sangin district of this province,there are about 150 mobile drug laboratories capable of producing up to 60 kilograms of heroin a day.There has also been a slight increase in production in the East of Afghanistan, particularly in the provinces of Kunar, Nangarharand Badakhshan. In 2012, the total production of opiates fell because of fungal diseases of crops compared to 2011 –from 5800 tons to 3600 tons.Even so, the net export value of Afghan opiates in 2012 amounted to U.S. $1.94 billion, which corresponds to approximately 10% of the country’s GDP. The main reason for the growth of drug crops in Afghanistan in 2012 were speculations due to deficit of drugs in major European consumer markets, as well as the relatively high purchase price of opium in the domestic market,which, although being lower than the prices in 2010 and 2011, yet were significantly higher than the prices of 2005-2009 period. In addition, the drug dealers in advance and at attractive term shave committed substantial funds to farmers involved in the cultivation of the opium poppy. In particular, farmers do not have to repay their loans in the event of crop failure or destruction of crops during the anti-drug campaign in 2013, and to transfer their payments to the following season. According to the Drug Combating Ministry of IRA at the end of 2012,9,672 hectares of poppy have been destroyed, which is 154% more than for the entire 2011, when in the same provinces 3,810 hectares of fields were freed from poppy cultivation. Faryab province was again found free of poppy cultivation. However,in Ghor province, previously free from poppy, its cultivation has resumed. The number of Afghan provinces where opium poppy cultivation is carried out has not decreased and is still 17. According to the UN, in the IRA,less than 2% of domestically produced drugs are withdrawn from illegal circulation, 5% of the population is involved in the cultivation of drug crops, and the number of drug addicts is more than 1 million people. As for Russia,a dangerous trend is that the volume of smuggling drugs across the northern border of Afghanistan is growing, from there the drugs get sent to Russia. According to the Drug Combating Ministry of IRA, from Afghanistan to Central Asian states, more than 95 tons of heroin is smuggled annually.Annual revenue of drug traffickers is estimated to be$67 billion. 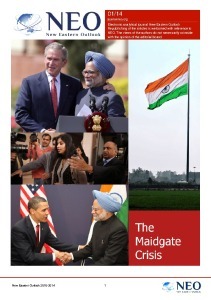 In addition,the financial support of terrorist groups with funds coming from the Gulf and from Pakistan is maintained. Drug money funds extremist organizations in Uzbekistan and Tajikistan, which is dangerous for the security of the southern borders of Russia. UNODC regularly monitors the situation with crops of cannabis and cannabis resin production in Afghanistan. According to available information, the production of cannabis involves 17 of Afghanistan’s 34 provinces. Most of the North African cannabis resin consumed in Europe, traditionally comes from Morocco, but recent UNODC figures show growth in the production of cannabis in Afghanistan. High yield from Afghan culture of cannabis(128 kg of resin per hectare compared to around 40 kg per hectare in Morocco)makes Afghanistan one of the most important producers of cannabis in the world.Cannabis cultivation in Afghanistan has become a very profitable business, the proceeds of which even exceed the income from the cultivation of the opium poppy(average gross income of the household growing cannabis is 9,000 US dollars, while that of the household growing the opium poppy is 4,900 USD). Drug Combating Ministry of IRA in 2012-13, continued its efforts to intercept drugs and precursors .For such special operations, destruction of crops, warehouses and laboratories, the units of the Afghan National Army(ANA),the Afghan National Police (ANP) were actively involved; International Security Assistance Force units have contributed as well. However, the contribution of ISAF was not effective enough. These forces are, in fact, shying away from the active anti-drug operations under the pretext that the armed gangs patronized by drug lords then attack NATO military bases and convoys in retaliation.Moreover, some ISAF officers themselves are not averse to“cooperating” with local drug dealers, giving them the opportunity to throw drugs by helicopters closer to the border with Iran and Central Asia. A significant increase in the number of attacks on representatives of the Afghan security forces by local farmers and the armed opposition fighters during crop eradication campaigns conducted by the government, has been registered. This spring,the official representative of the Drug Combating Ministry of IRA said that, despite all efforts to combat drug dealers and to ensure the alternative livelihoods for farmers, in 2013, the area of ​​illicit opium poppy cultivation in the country has increased by 3 thousand hectares and reached 157 thousand hectares. Currently in Afghanistan,two thirds of the world’s opium crops are cultivated – 95% of the opium is grown in nine provinces in southern and western Afghanistan. The province of Helmand is still the leader in terms of cultivated land–75,176 hectares, accounting for 49% of the opium cultivated in Afghanistan. The ODC report highlights a certain success to reduce the number of crops in the areas of Helmand, where the British have launched the “Food Zone” program.However, the overall poppy cultivation in the province increased by 19%. U.S. plans to take into account the mistakes made by Great Britain and in the coming months launch a similar program in the province of Kandahar. For its implementation,about$20 million are to be spent. This April,the UNODC has published a review of the production of opiates in Afghanistan, which has indicated the likelihood of growth in the acre age of opium poppy in the southern and western provinces of the country, particularly in the provinces of Helmandand Farah in the current year.There is a trend to an increase in poppy cultivation in the north of Afghanistan, particularly in the provinces of Badakhshan, Balkh, Faryaband Takhar. The last three can lose the status of zones free of drugs,resulting in the fact that a number of provinces free from drugs may be reduced from 17 to 14. This May,in Kabul a seminar on the launch of the revised Anti-Drug Strategy for 2012 – 2016 was organized by the Drug Combating Ministry of IRA. Commenting on the strategy, the Drug Combating Minister of IRA Z.A. Mokbel noted that it would focus on the provision of alternative livelihoods for farmers engaged in cultivation of opium, law enforcement, drug addicts’ rehabilitation and drug demand reduction. Deputy Minister of IRA Home Affairs on Drug Combating issues General B.M. Ahmadi said that if the potential of his management is not raised, and if the special units for the destruction of drug crops, whose effectiveness has been proven in practice are not re-created, the cultivation of opium in the country will steadily grow. B.M. Ahmadi noted that the potential of anti-drug police would be significantly reduced upon the withdrawal of foreign troops. According to him, the success of the police to combat the drug trade has been associated with the delivery of technical and exploration aids of foreign troops, and conducting of special operations in the most dangerous areas of the country did not seem to be effective without air support. Thus, during special operation conducted on May 22 in the county of Qeshm of the province of Badakhshan, the Afghanistan anti-drug police, using data provided by the Russian Federal Drug Control Service, and with the technical support of the U.S. anti-drug agency, destroyed seven drug laboratories and seized 24 kg of heroin. However, this still is not enough. 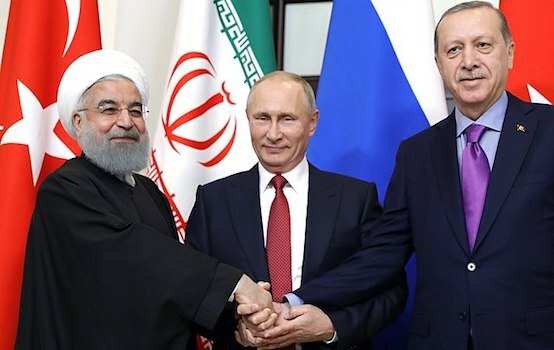 And with the reduction of NATO’s military presence in the IRA, more intensive joint efforts of Central Asia and Russia will be required in order to prevent a sharp rise in the flow of drugs into their territories. Vladimir Simonov, is an expert on the Middle East, PhD of historical sciences, especially for the online magazine NewEastern Outlook.